Warm, soothing and packed with anti-inflammatory spices, this naturally vegan and gluten-free CBD Infused Pumpkin Spice Latte brings together the comfort of the traditional PSL with the healing benefits of CBD Hemp Oil for an experience like no other. Being from Upstate NY, you can guess that I am just about as basic as it gets when it comes to all things fall. I hold onto summer as long as possible, but once it hits October 1st I am all in on all things Fall. I’m talking smelly candles, chunky sweaters, big cozy blankets, warm campfires, apple picking, and yes, all things pumpkin spice. Now I could tell you that a standard 16 ounce Starbucks Pumpkin Spice Latte has 380 calories and 13 grams of fat, but that wouldn’t make it any less delicious, warming or comforting. It wouldn’t take away that sense of nostalgia I feel every time I sip the first one of the season, and it wouldn’t make it any less enjoyable. But the truth is, I live at least 30 minutes from the closest Starbucks, so I tend to enjoy one ‘real’ PSL each year and then make my own at home. Of course, I do like making my own at home because I can control the ingredients, and make it all the time. So here is: my easy-to-make-at-home version that is naturally dairy-free and gluten-free, creamy and delicious, and 100 times better than any PSL you’ve ever had before because it is infused with pure CBD oil. I am officially a Certified Holistic Cannabis Practitioner and am so excited to be starting my learning journey towards becoming a holistic cannabis practitioner. For those who are new to CBD or cannabis products, CBD is the OTC – legal – hemp oil supplement taking the wellness scene by storm. 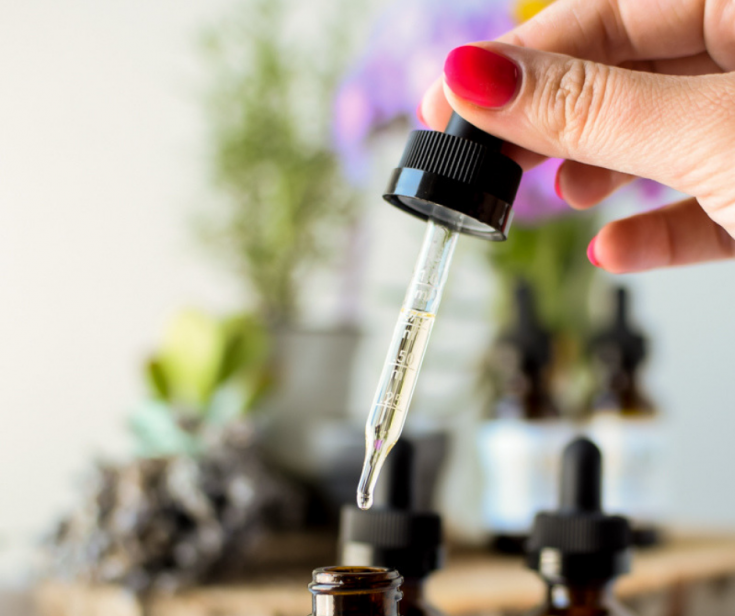 If you haven’t already, you can learn more about CBD in this post CBD Oil 101: Everything You Need to Know. But for a quick reminder, CBD is short for cannabidiol which is the second most abundant of all the cannabinoids. CBD is non-psychoactive meaning it does not give the feeling of intoxication or ‘being high’. Instead, CBD lends all of the benefits of the cannabis plant without the THC, meaning you can enjoy the therapeutic affects of this plant without worrying about how it will affect your mental status. What Can CBD Hemp Oil Help With? The endocannabinoid system acts as a balancing mechanism for other body systems such as the circulatory, nervous and digestive systems. The medical benefits of hemp are currently being researched, with the most promising studies in pediatric epilepsy. With CBD becoming so popular on the market, it is easy to become overwhelmed with all of the options out there. It can be easy to want to choose a product based on price, but we all know the saying: ‘you get what you pay for‘. After conducting my own research, I personally decided to partner with VivaOil, a Colorado based CBD producer, due to their commitment to purity, quality, and safety. This method is known within the industry as the safest and most superior method of CBD extraction. The CBD oil is then mixed with high quality MCT coconut oil. Finally, independent, third party lab testing is conducted to ensure that only the highest quality product carries the VivaOil name. The spices traditionally found in a Pumpkin Spice Latte have a many of health benefits, including important anti-inflammatory properties, making this recipe not only delicious but nutritious as well. The health benefits of cinnamon have been studied for many years, and this spice is considered to be one of the most healthful on the planet. Cinnamaldehyde is a compound found in cinnamon that is thought to provide the most of its medicinal benefits. Packed with polyphenol antioxidants, cinnamon can help the body protect itself from free radicals. 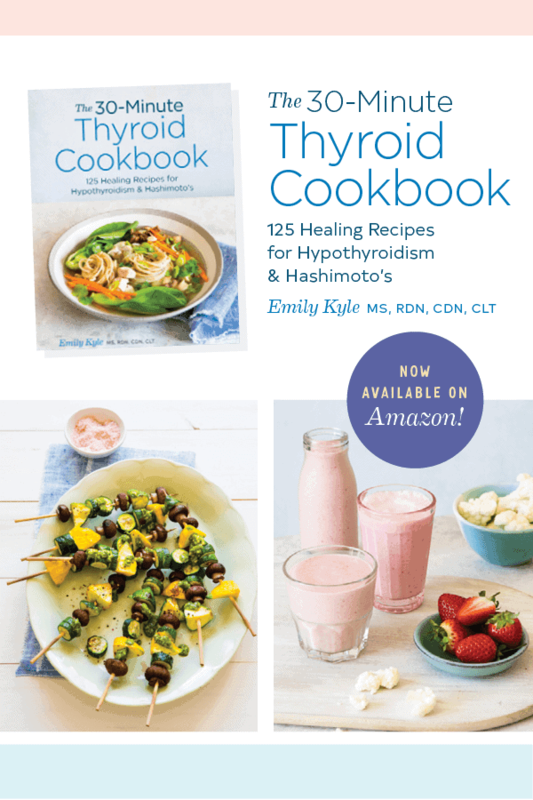 Inflammation, one of the most talked about causes of chronic disease, can be counterbalanced by the foods that we eat. Cinnamon is no exception, and has been heavily studied for it’s ability to provide anti-inflammatory benefits to the human body. Cinnamon has also been studied for its ability to lower cholesterol, and reduce the risk of developing heart disease. Ginger is another spice that has been studied for quite some time to prove the effectiveness of it’s medicinal qualities. Gingerol, the main bioactive compound in ginger, provides many of the health benefits we know and use today. 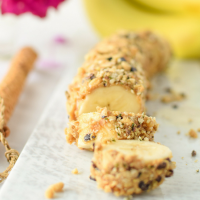 Ginger is most notably considered for it’s ability to ease nausea and morning sickness, but has also been found to help with reducing muscle pain and soreness, reducing inflammation in the body, and lowering blood sugars in certain circumstances. Nutmeg, a popular spice in ethnic cuisine around the world, is a popular spice that is best known for its warm, delicious taste and it’s health benefits. Recent studies have shown that nutmeg is an anti-inflammatory food that has the ability to help treat insomnia, pain, aid in digestion, and enhance blood pressure and circulation. Cloves are a flower bud that has been dried, and traditionally ground, although whole cloves make an excellent and eye catching use of ingredients in particular dishes. Cloves have been studied for their anti-inflammatory properties and have been found to be rich in antioxidants. There is even ongoing research to support the idea that cloves may protect against certain types of cancer. I believe that we all have our own definition of healthy, so how you define a recipe as healthy may be different that how I do. For me, that means making this recipe with dairy-free milk, because that is what makes my tummy feel best – and adding some sugar – because what is life without sugar? Feel free to substitute different types of milk in this recipe depending on what you personally prefer. 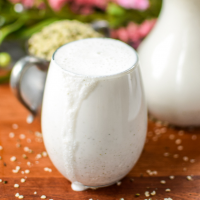 Whether it is traditional dairy milk, alternative options like a2 milk, or plant-based options like homemade hemp seed milk, soy, almond, cashew or coconut – it is totally up to you. Just remember that I made mine with homemade hemp seed milk which is creamy, and results will vary based on the option you choose. When I was first making this recipe, I worried that heating the CBD oil may denature it or render it ineffective in some way, but my lovely friends Doug and Romy, owners of VivaOil, assured me that you can safely heat CBD oil up to 240 degrees Fahrenheit. 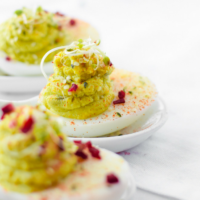 I hope you give this recipe a try and fall in love, just as I did! And don’t forget to check out all of the CBD related items I have available for purchase in my store. 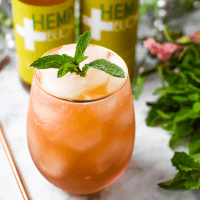 Combine anti-inflammatory spices with the healing benefits of pure CBD Hemp Oil for the ultimate comfort beverage that will leave you feeling calm and happy. In a medium sauce pan, whisk together the coconut milk, pumpkin puree, cinnamon, ginger, nutmeg, cloves, and salt. In a small bowl, mix together the Instant Espresso and boiling water. Pour into the sauce pan with the other ingredients. Place the sauce pan over medium heat. Stir in the vanilla extract, coconut oil and coconut sugar. Heat the latte over medium heat, stirring frequently, until the liquid reaches just before boiling. Remove from heat and pour between two mugs. Add 15 drops of CBD oil to each mug. Garnish with whipped cream and additional ground cinnamon as desired. Hard to believe this is only 110 calories! It looks amazing. Yes, I hope you love it! Thank you! Soooo glad you liked it, Lorie! Haven’t used the Cbd oil yet but the latte is ammmmaaazing!!!! I’m so intrigued by CBD Oil. Need to read more about it and am def making this! I am so glad you found that helpful, Lindsey! I was curious too! Thank you so much, Meme! Especially up here in NY where it’s so cold and rainy, it’s so nice to snuggle up with a cup of this right before bed! Thank you so much, Julie! I really appreciate that! Yes, it really is so perfect for bedtime. I have heard CBD works wonders for people who have trouble sleeping at night. CBD is everywhere! But this is actually the first recipe I’ve seen using it. Great for bedtime since I’ve been told a lot of people take it in the evening. What a great drink!! 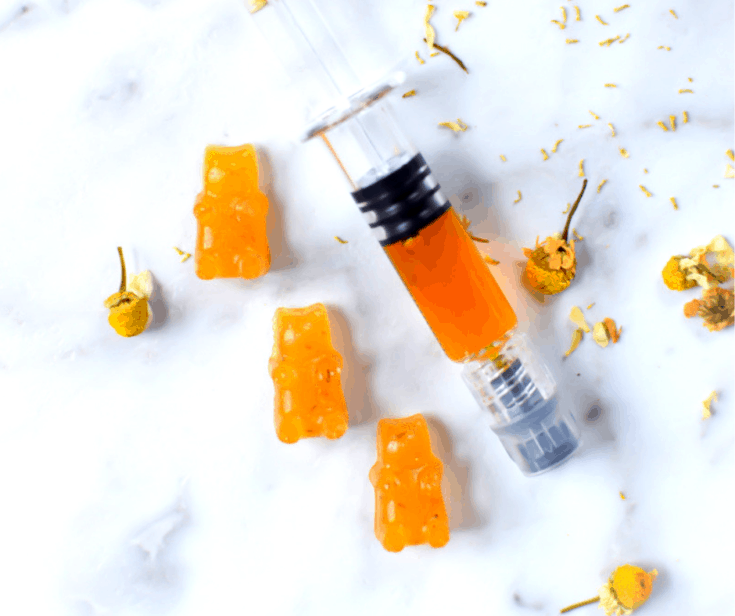 I’m super curious about CBD oil and glad you’ve been sharing more about it. I clicked over to check out their products!! I always love learning about new health trends especially CBD oil as it has been a big topic lately all over social media. This sounds like a great drink to incorporate CBD oil into especially for the fall! I was wondering about the safety/ benefits/ temperature of heating CBD oil, thank you so much for including that! This is awesome! Interesting. So much info. I’ve been experimenting with CBD a bit lately and can’t say I love it too much yet. I felt a bit off the first few times so tried a lower dose and it seemed better, don’t think I really need it though. But the PSL still looks delicious! I am sure missing the seasons is bearable when you have picture perfect weather 95% of the time 😉 Thank you friend! That’s it…I’m buying CBD OIL ASAP!!! 🙂 This looks and sounds delish! Love all of the CBD knowledge. Thank you for sharing Emily. I’m saving this as I was researching CBD and was going to give it a try before I found out I was pregnant and now holding off until after. I’ll be reaching out if I have any questions. I live right by a Starbucks and still like to make my own drinks at home since we usually (pre pregnancy) drink a LOT of espresso. Lately I find myself at Starbucks more unfortunately because I’m limiting and haven’t played with making half caffeine drinks with our espresso maker. Looks delicious ? and hello fall! That’s the one thing I miss from living in the Midwest, seasons!